My two worlds merged when I became a twin mommy four years ago. Before my identical daughters were born, I was a teacher to my other “kids”: my 20 elementary school students. One of my favorite parts of teaching was designing lessons that would excite my students, engage them in a mundane skill, and create fun projects, therefore reinforcing a love of learning. From day one, I knew that I was going to bring my “teacher skills” to mommy life, specifically by preparing engaging and creative activities for my daughters to do daily. During the infant and baby years, many of my fond memories focused on singing educational songs (ABCs, Apples and Bananas), reading board books, and finger painting. Now that my daughters have reached the preschool years, their learning has developed to a whole new level. Preschoolers are naturally inquisitive and, in many cases, will drive you crazy with the never-ending Why, What, and How questions. Yet, this curiosity initiates a love of different subjects. A few years ago, my daughters became obsessed with the moon. We would watch the moon each night through the window, noting the different phases it would go through during the month, so I enriched my twins’ interest by getting books about the moon and watching kid-friendly videos on the subject. In addition, at the 3 to 5-year-old age, children have a remarkable ability to remember details. Recently, my twins came home from preschool, and recited everything they had learned about insects. It was amazing to me that a subject that was so far from their typical princesses, nail polish, and doll obsessions, was so fascinating for them. Typically, in preschool, academics focus on learning the alphabet, numbers, colors and shapes. 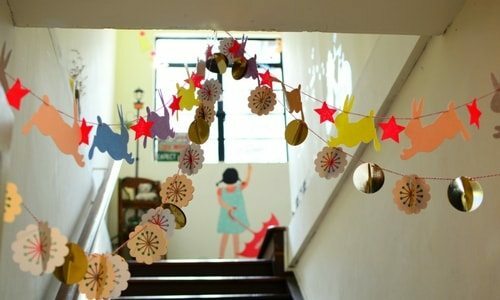 Here are six ways to creatively teach your preschoolers for success in school and to foster a love of learning at an early age. Most parents have every children’s song memorized. If you are anything like me, you sing “Let it Go” while falling asleep at night and wake up singing “5 Little Monkeys Jumping on the Bed”. 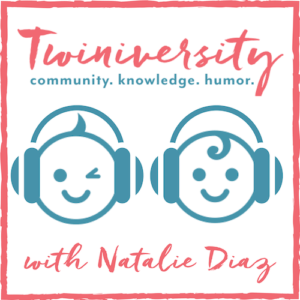 Not only does making up songs help to teach your twins, but also shows them how to creatively put new words in an already existing tune. My daughters knew how to spell their names (which are longer names) when they turned two because my husband and I sung the spelling of their names to the tune of The Mickey Mouse Club theme song (“M-I-C-K-E-Y”) and Mary Had a Little Lamb. I would suggest thinking of different musical tunes for each of your kids, so they do not confuse the spelling of their two names. Also, it is a good idea to sing your children’s name songs often! 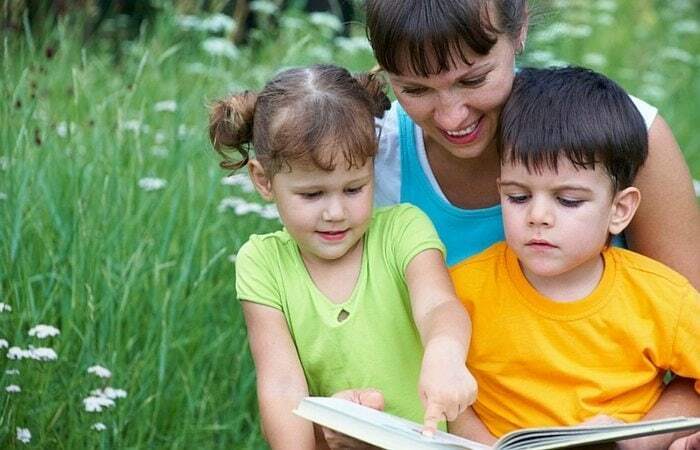 There is nothing better for your little ones than to repetitively bump into what you are trying to have them memorize. When my twins were learning the alphabet, we would hang up letters around the house that they were struggling to remember. We did the same thing with numbers, and ironically when we had guests come to our house, they joked that it looked like an airport terminal since we had “J 5” adhered to the door. Additionally, recognizing sight words are an important aspect of entering Kindergarten, so another idea is to label items around your house (e.g. couch, door, fan), so your children can see that fireplace starts with the letter F and so does flower. 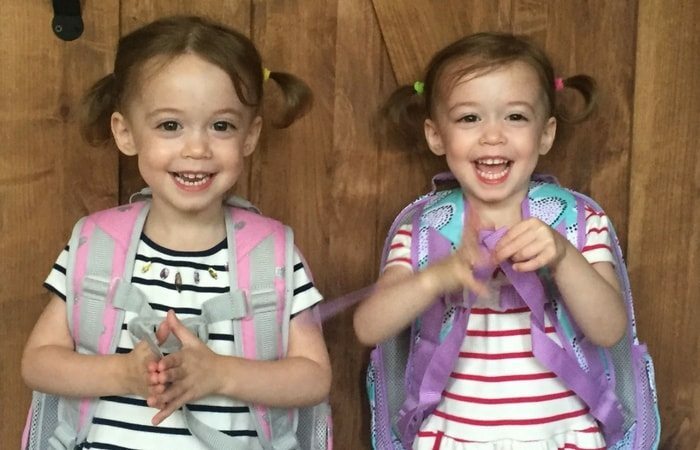 We all know our twins do not have the same brain functioning and that we shouldn’t compare them – we’ve heard it a million times. But, there have been many instances where I have asked, “what letter is this?” directed at Twin A, and Twin B responded. I made the mistake of assuming that Twin A also knew the answer, but learned my lesson when I sat down with my daughter’s one-on-one only to find out that they were having a hard time recalling different letters. After this, I created separate documentation notebooks for my daughters. In these notebooks, I wrote the numbers 0-10 and pointed to each digit, asking Twin A to tell me the number that appeared. I crossed the number out if she knew it and would circle it if she didn’t. Then, I did the same thing with Twin B. This helped me see what I still needed to work on separately with each of my girls. Everything from cutting with scissors to holding markers, crayons, pencils, and paint brushes. Even writing on the Magna Doodle and peeling and adhering stickers are all great ways to strengthen your child’s fine motor skills (in other words, the development of the hand muscles). My kids enjoy strengthening their grip using out-of-the-ordinary tools such as zig zag scissors, glitter markers, or smencils. Any skill you are working on with your child – alphabet practice, recognizing numbers, identifying shapes and colors, detecting patterns – can be reinforced with arts and crafts. For example, you can create patterns using stickers and then have your children create their own pattern. Or, if you are working on the number 6, you could have your child glue six pom poms to a printed number 6. 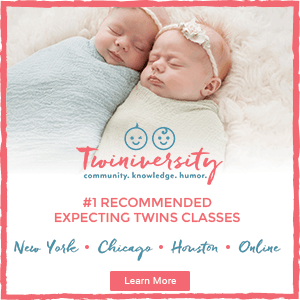 You can find a gazillion arts and crafts teaching ideas on Pinterest or even by conducting a quick Google search on the topic you are currently focusing on with your twins. 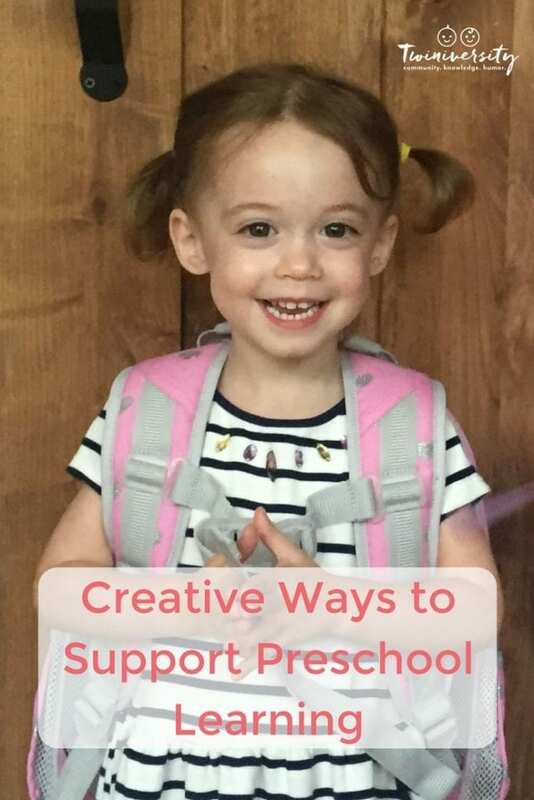 While preschoolers may not always grasp concepts quickly or at the same pace, my twin’s natural love of learning is contagious in our house and I am going to keep promoting this love for as long as I can! Lori Cavallario and her husband live in northern NJ with their three daughters, 4-year-old identical twins and a 1-year-old singleton. After her twins were born at 31 weeks, she became a parent/family advisor in the NICU where her daughters spent 6 weeks. 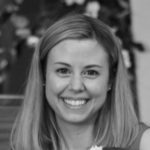 Her role includes supporting and comforting families while in the NICU, becoming a parent buddy, and designing programs for NICU families. She has a background in public relations, event planning, and a Master’s Degree in Elementary Education. 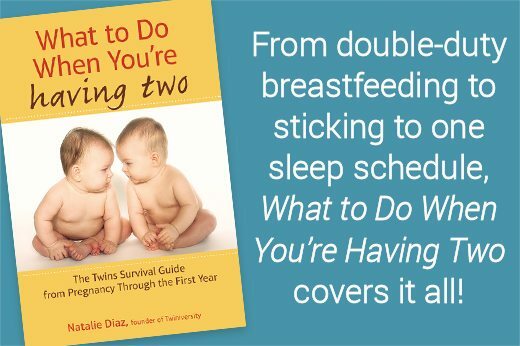 Now, as a stay-at-home mom, she can be found planning extravagant themed birthday parties – (check out Twinvite Designs), making Pinterest recipes, and teaching her twincesses how to do crafts.